It has been confirmed by official website Arsenal.com that Arsenal have agreed terms with Barcelona over the transfer of star midfielder Alex Song. The Cameroon midfielder has come along in leaps-and-bounds over his time and the Emirates and although there is a chance to get an exceptional replacement, it is definitively frustrating to see him go after he was finally starting to peak. 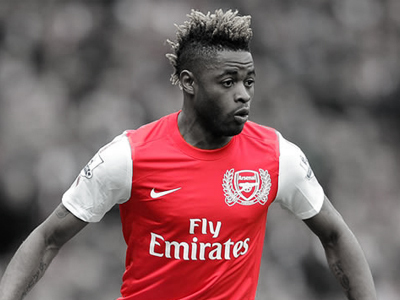 Arsenal Football Club can confirm that terms have been agreed for the transfer of Alex Song to Barcelona. Song will now travel to the Catalan club to agree personal terms and undergo a medical ahead of the proposed move. Further updates will feature on Arsenal.com. Because we have Wilshere coming back, I believe in one and a half months. We have Diaby back, we have Rosicky not far away and we might bring another midfielder in as well. You have to be patient a little bit [over any new signings]. As a fan I could understand the transfers of Fabregas, Nasri and even Van Persie, but in Song we had an exceptional player who still had a massive three years left on his contract and a player, a player who was starting to finally peak and a player who said that was happy at Arsenal. The deal is claimed to be approximately in the region of £15, meaning Arsenal have virtually recouped all the transfer money they have spent on new signings Cazorla, Podolski and Giroud after the sale of Robin van Persie to Manchester United for a reported £24m. Wenger has confirmed that the cash will be re-invested in the squad as simply put Diaby is still unproven and an injury prone midfielder while Wilshere is still a month and a half away from a return. Will Arsenal be back for M’Vila? Or is Nuri Sahin going to make a temporary loan move to the Emirates with Wenger lamenting over the lack of creativity against Sunderland. In this case it is a true holding midfielder in M’Vila versus a deep-lying playmaker and box-to-box midfielder in Sahin, who would be more a like-for-like replacement for Song, but only for a season-long loan. What one do you think Arsenal needs more? Should Arsenal go for M’Vila or Sahin? Or even Biglia? Feel free to leave a comment below or discuss Song, M’Vila and Sahin in the allArsenal.com forums.